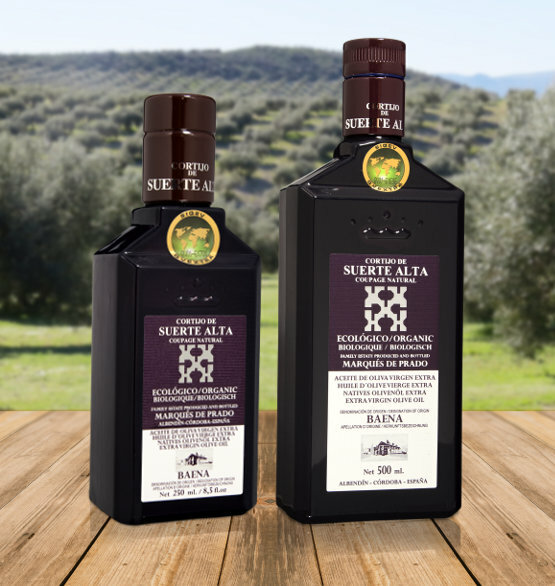 Organic Extra Virgin Olive Oil, Family Estate Bottled, D.O. Baena. 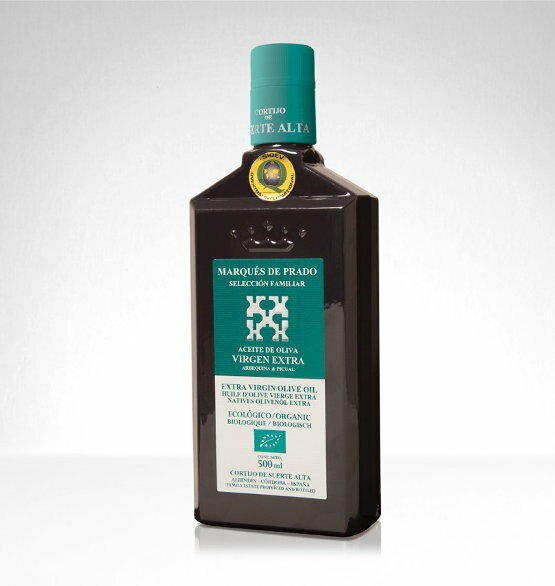 Produced with Picuda, Hojiblanca and Picual Olive Varieties. 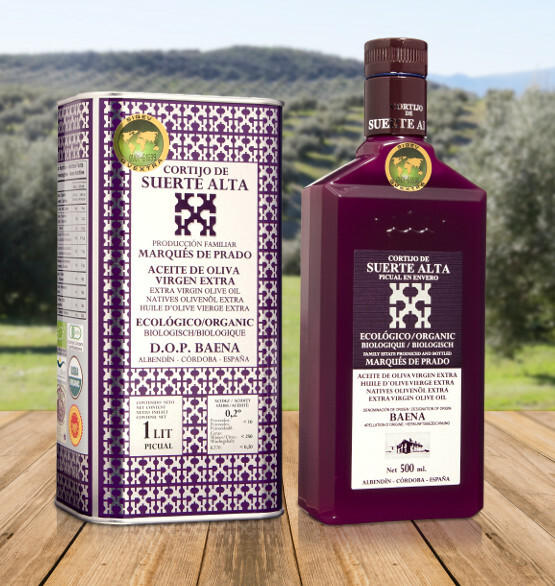 Natural Blend from our traditional 80 years old olive grove. The Picudo gives a sweet entrance and hints reminiscent of fruits such as the apple. The Picual gives it ́s bitterness; bitterness due to it‘s high level of natural antioxidants. It presents hints of green olive leaves, green almonds, tomato plant and citrus. The Hojiblanco gives a peppery flavour in mouth and throat and hints of artichoke and herbs. Produced with the variety Picual. 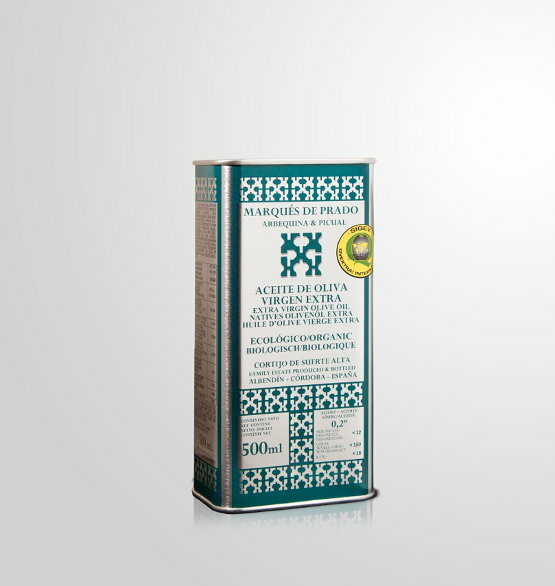 Picual is the richest oil in natural antioxidants, therefore the healthiest one. Picked from our 10 to 40 years old family olive grove at the beginning of November. Medium intensity with hints of chlorophylls, both of olive leaves and herbs. Harmonious to the palate and evolves towards ripe almonds. Bottle of Coupage Natural - Picual. Extra Virgin Olive Oil. Family Estate Bottled, Organic, D.O. Baena. 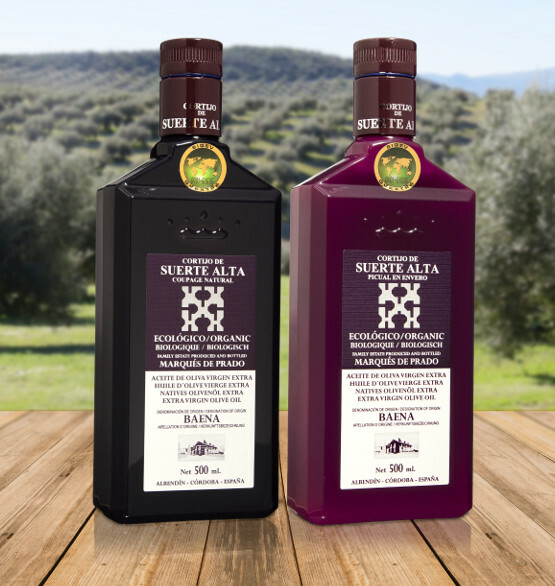 Wooden box containing two variesties of our Extra Virgin Olive Oil. Perfect for a gift.